We’re still reeling from the awesomeness of AWP 2019. 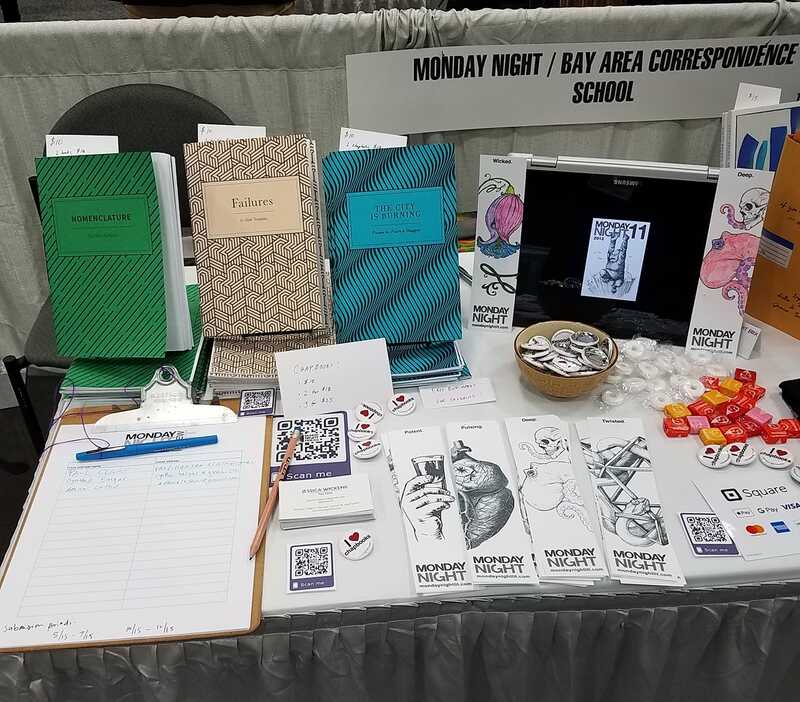 Monday Night shared a table with the Bay Area Correspondence School at the Book Fair, and we had lots of chapbooks and swag to share. Dozens of new fans signed up for our mailing list, grabbed free buttons, and purchased fresh-off-the-press editions of our new chapbooks. 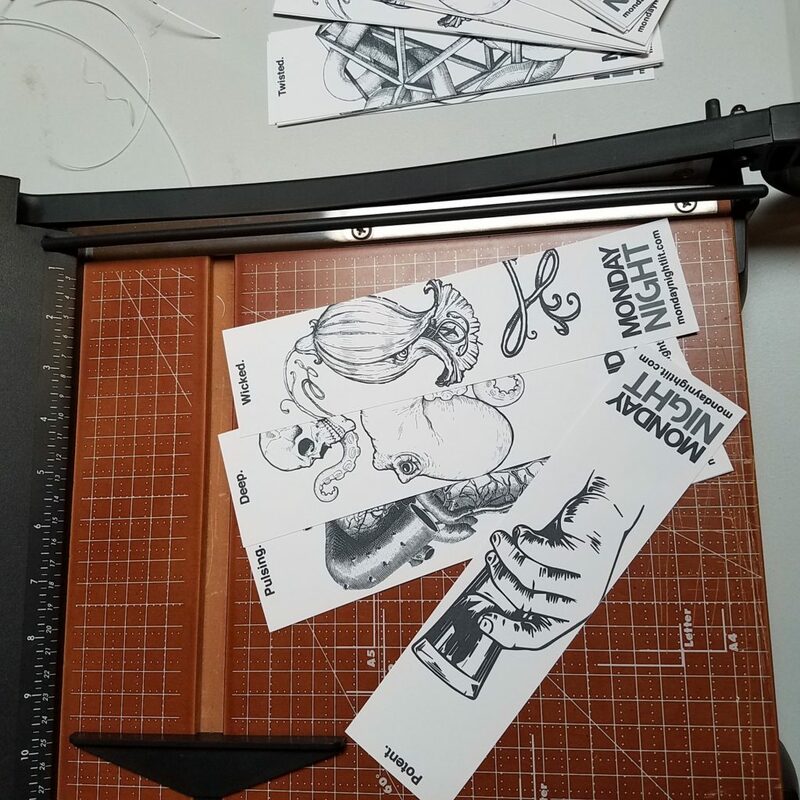 Our special-edition bookmarks featuring art from our covers were so popular we ran out! 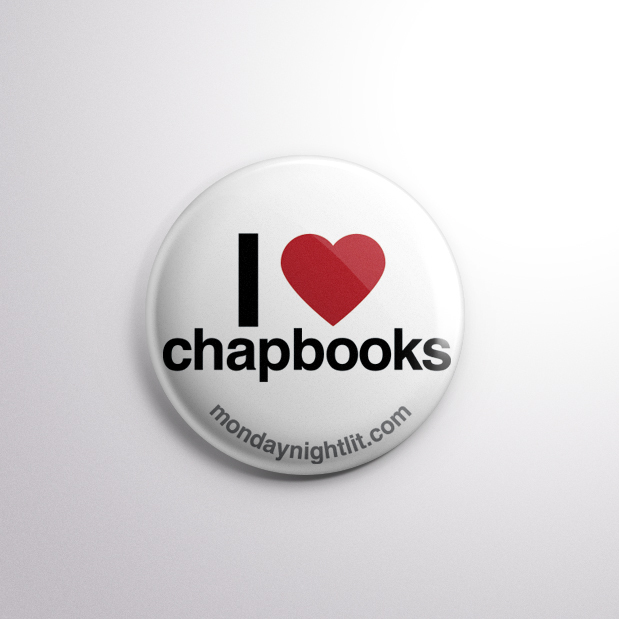 If you missed out on the conference, you can still buy chapbooks on our MN Press page.